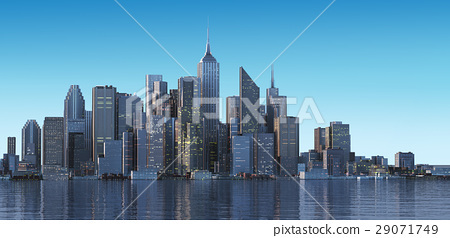 Cityscape generic with modern buildings and skyscrapers on water. 图库插图: Cityscape generic with modern buildings and skyscrapers on water. Cityscape generic with modern buildings and skyscrapers on water. Early morning, or late afternoon light.